Quite a piece of chocolate art. The molds used to make this show an impressive amount of detail. Luckily for her, Apple did call back later on. I don’t think I would have believed it if Apple had called me, especially if they called me at work. These days with all the sales calls, scams, and junk calls, I’m barely listening to them and thinking about how I can get off the call as quickly as I can. I started taking piano lessons when I was in the 2nd grade and for the next 7 years it was classical pieces learned for my lessons and bad pop/rock arrangements for fun. Since then, however, the piano has taken a backseat to the violin which I actively play in a community orchestra. 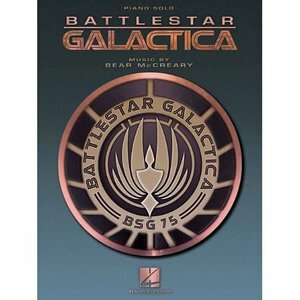 But, with the upcoming release of the Battlestar Galactica Piano Book, I know now that there was a purpose to all those childhood years at the piano. 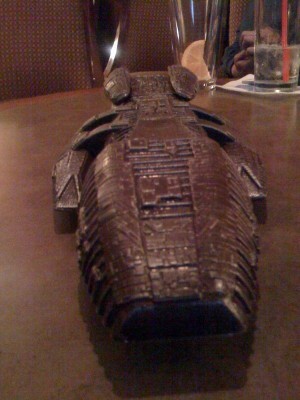 Bear McCreary’s music has always been one of the highlights of the Battlestar Galactica television series. The music is full of exotic instruments, full orchestrations, and large rhythmic sections. Not, something that would be easily arranged for the piano, but since Bear is doing the arrangement himself, it should be interesting to see how it is. Very few soundtrack piano books were arranged by the original composer, but I wanted to ensure the ideal translation from orchestral score to solo piano, so I personally arranged each selection. I’m too much of a perfectionist to let anybody else do this! 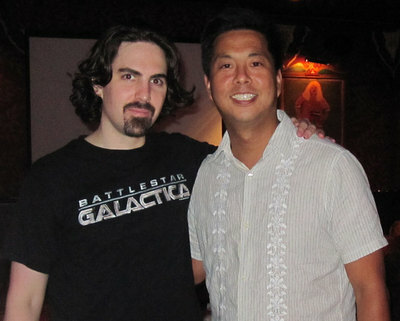 Here’s a picture of Bear McCreary and I from 2009 at his concert at the House of Blues during Comic-Con. 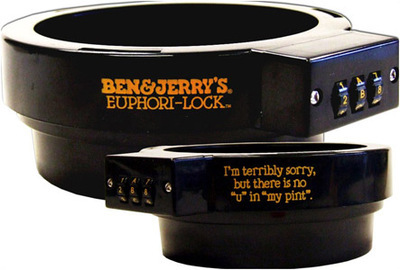 I need to get one of these Ben & Jerry’s Pint Locks and not know the combination to it. Natalie Portman’s speech was cringe inducing, but it’s nice to find out that her grandma lives in Cincinnati. Beyond the issues of trade and jobs, solar power experts see broader implications. They say that after many years of relying on unstable governments in the Middle East for oil, the United States now looks likely to rely on China to tap energy from the sun. Unless the government starts mandating a percentage of U.S. content in U.S. solar panel installations, all the new renewable energy manufacturing jobs will end up moving to China. The street artist Shepard Fairey and The Associated Press have ended their long-running legal battle over whether Mr. Fairey violated copyright protections in using one of the news cooperative’s photographs as the basis for the well-known “Hope” campaign poster of Barack Obama.